Jewelry is one of my favorite things to shop for. As a matter of fact, I probably have more jewelry than I have clothes. Not sure if that's a good thing or not. Hmmm. Regardless, I try to choose wisely when adding to my ever growing collection of statement necklaces. However, I am easily swayed by a good sale and that's exactly what happened here. 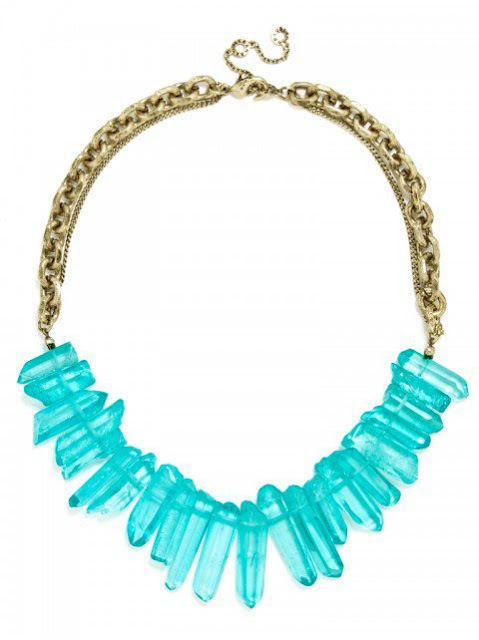 My go-to place had a sale on statement necklaces and I just couldn't resist this one. I am loving this color right now. It's so summery and it goes with a lot. 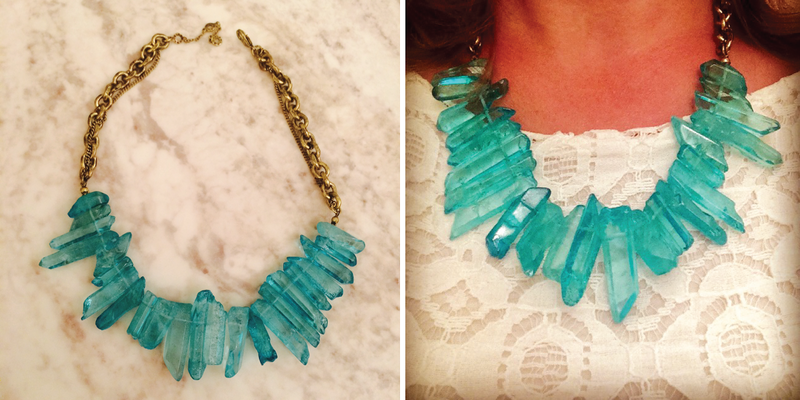 Although there are several possibilities with this necklace, I think my favorite look is pairing it with white. BaubleBar has a lot of fantastic statement necklaces that scream summer, many of which are on sale. Take a look. I bet you find something you can't live without.